146 Seiten, gebunden, Caissa 90-Olomouc, 1. Auflage 2009. Few lovers of chess today remember Philip Richardson (1841-1920). The ne­glect is understandable, although unfortunate. After all, the man lived a quiet life as a photographer, recording the impressions of other lives while leaving himself out of the picture. By all accounts, Richardson was a gentle man, in the fullest sense of both words: dedicated, focused, modest, intelligent, considerate of others and unas­suming. 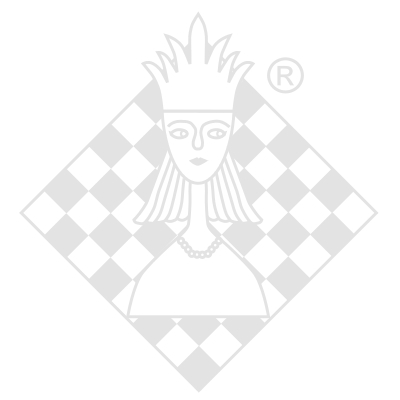 Hardly the stuff of which great chess reputations, for better or worse, are often made. More than that, one will search largely in vain for his name among the tournament or match lists. Check the largest of the commercial databases, and you won't find more than a dozen of his games— and not all of those correctly identified or attributed to him. Nor is Richardson remembered today as a problemist, although he did publish some interesting pieces, a selection of which appear in this book. But during his lifetime, Richardson was considered one of the strongest players in the United States. According to published sources, George H. Mackenzie, the Scottish player who came to these shores in 1863 and who stood ahead of all other active players in the nation for nearly three decades, claimed Richardson was the most formidable opponent he met in this country. It was, in fact, Mackenzie who gave Richardson his nickname as "the Stormy Petrel," a reference not to the bird, of course, but to the image of one who brings trouble with him— in short, for purposes of chess, a dangerous player. That Richardson was a difficult man to face across the chessboard was evident to those who had to play him; that he appeared most often when the weather was poor (and thus earned Mackenzie's moniker for him) was due to his profession as a photographer in an age that required strong sunlight for its exercise. Nor was Mackenzie the only master to recognize Richardson's talents. Steinitz praised his play and combinational vision in the pages of his International Chess Magazine. And not without reason, or to the surprise of his contemporaries. Of the published games collected here, Richardson held his own with the strongest players of his day. His record against Eugene Delmar (9-8, with 2 draws), S. Lipschiitz (1-1, 4), Sam Loyd (2-0) and James Mason (5-7, 1) appear representative of his strength, and suggest something of the respect he earned playing for decades among his fellow chess aficionados of New York and Brooklyn. Only Mackenzie and Steinitz had clearly superior records against the quiet Brooklyn photographer. Richardson's games and game fragments, 193 in number, and the 24 chess problems and two endgames collected here, have been culled from contemporary sources, most notably from American chess columns published during the last four decades of the Nineteenth Century, when he played in the greater Metropolitan, New York, area. His compositions cover a greater span, one of almost sixty years. I would like to thank Vlastimil Fiala, Robin Hilbert, Kathy McCrory and Jerry Spinrad for their help with this volume. Particular thanks go to my good friend, Joost van Winsen, who provided extensive assistance with game collection and source review. This volume has been written for ease of access by all lovers of chess history. Those who seek additional details regarding my use of contemporary materials are directed to the "Sources" section beginning on page 141. Errors in the text are solely my responsibility.